This session will focus on how tradies and field service agents can eliminate paperwork, manage jobs and automate alerts by leveraging a job management app called ServiceM8. We have decided to hold this seminar series at Fastlane Karting to give attendees a true taste of acceleration and provide a fun, unique networking experience at the end of each session. They are is situated at 20 Swettenham Rd, Minto close by to Minto train station and the Hume Motorway. In order to maximise exposure of this event, and thereby expand the businesses networking opportunity, we have decided to leverage Meetup for registrations. We request all attendees to visit our Meetup Group Accelerate Your Business to register for each session that you would like to attend. Each session has the same structured agenda that is outlined below, with the focus topic and associated technology changing each time. Customer Consulting Group hires out the entire Fastlane Karting facility for exclusive use during the educational part of each session. 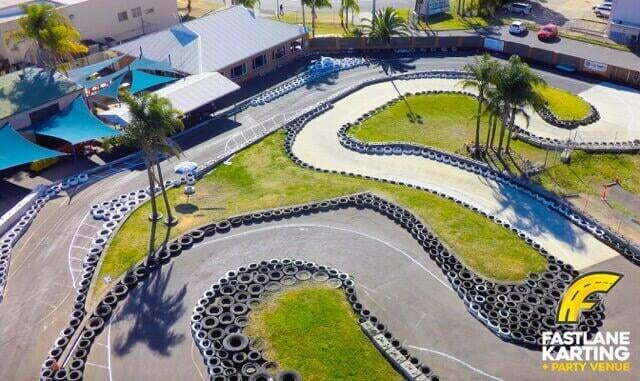 To avoid the general public interrupting our sessions, Fastlane Karting lock the gates at 4:00pm sharp, so please ensure you arrive by 3:55pm to avoid disappointment, as the gates will not be opened again until 5:00pm. During the open networking, food an drinks are served, for all registered attendees, as they mingle with other attendees and learn more about each other's business. Attendees are also invited to take the wheel of a Go Kart to show just how fast they are. We understand that everyone needs a healthy work/life balance, so attendees are welcome to invite their friends and family to share in the fun from 5:00 onwards. And as an added bonus, Customer Consulting Group has negotiated a special rate of $15 per race for all session attendees and their guests to use during the Open Networking from 5:00 – 6:00.